A new Verizon roadmap of sorts has leaked out from a variety of sources through Engadget and we’ve grabbed the major bullet points which affect your Droid lives. The entire roadmap basically highlighted every Android device expected to hit VZW over the next few months, but we picked out the “Droid” friendly ones. 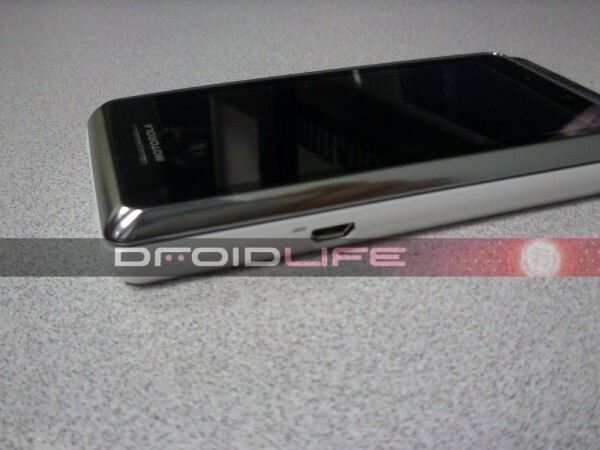 Motorola Droid Pro tentatively scheduled for late October or early November. It’s listed as having a 1.3GHz processor, Froyo, global radios, and Flash 10. We still have every reason to believe this is the phone we’ve been calling the Droid 2 World Edition (or Global Edition), but it’s unclear whether it’ll replace the Droid 2 altogether. HTC Merge / Lexicon / Lexikon coming in late October / early November, too. Don’t be fooled: all of these code names refer to the same device, and even Verizon’s communication uses both “Merge” and “Lexicon” interchangeably. As expected, it’s a global phone with a 1GHz Snapdragon. Motorola Stingray tablet in Q1 of 2011. Now this is interesting. We’d previously thought the Stingray would be a smaller tablet, but it now seems it’ll be a full 10 inches with Android 3.0 Gingerbread, 16GB of on-board storage, and Tegra 2. Oh, but that’s not the best part: it’ll also be “hardware upgradeable to LTE,” initially launching with CDMA alone. Whether that means you’ll need to purchase and insert some sort of module or something, we’re not exactly sure. What can we make of this? Word from our sources after the break. Let’s just say that through our sources, we can confirm almost all of this including a few additional details. The “Droid Pro” to our knowledge will actually be called the Droid 2 Global, hence the reason we’ve been using that term for the last month. It is also expected to replace the original Droid 2 altogether. The Stingray tablet has always been a 10″ tablet. It will run Google’s custom Android tablet OS which has not been confirmed yet to be called “Gingerbread” and could still be “Honeycomb.” Q1 is when you should expect this though. We also fully expect this to carry the “Droid” name when finalized. So we’re really just waiting for Q1 2011 then right? Unless Motorola has a secret device up their sleeves, we aren’t going to see a big holiday splash to ramp up the Droid line again. I guess we’re stuck with the Samsung Tab?